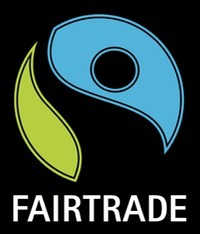 Fair trade could be one solution to the situation of the farmers. Fair trade and alternative crop development could be the solutions to the desperate situation of the farmers. The attempts to cultivate other crops to generate a legal income have often failed due to a lack of know-how and a non-suitable soil and climate, but the low prices of the world market, or even the lack of a market have been factors too. The burden of debt, the international trade agreements, and the multinational corporations do not support any alternative development. For instance in Colombia, the cultivation of wheat was a profitable trade until the US dumped its domestic wheat surplus on the Colombian market, thus encouraging more than a few Colombian farmers to take up coca cultivation instead. Corruption in the developing countries is a major obstacle, and therefore development projects should be carried out directly with the farmers or their legitimate representatives instead of the often corrupt governments and organizations. One alternative would be to manufacture other products from the existing hemp and coca crops, such as lotion, medicine and clothing. The illegality of drugs presents many problems, but the legalization of drugs would not eradicate the poverty of the South nor stop the direct environmental damage either, something that is all too evident from the example provided by the tobacco industry. Here we have touched upon decision-making on the institutional level, but does an individual choice matter? Does it make any difference if I don’t do drugs or if I buy stuff that has the fair trade -label on it? Does an individual ethical choice matter? Or is it possible to influence political decision-making by signing petitions? The Drug Boycott -campaign believes that yes, it does matter, and yes, you can make a difference! The power of the faceless global capital may be out of democracy’s reach, but only because we the consumers let it be that way. By our own decisions on what to buy we have given them that power, and similarly we can reduce that power by voting with our wallets.